James Steel spoke at the Hay Literary Festival 2010. In the coldest winter in living memory, Russia turns off the gas to Britain. Embittered mercenary Alex Devereux has the fate of Europe in his hands. Under secret instructions from the British government, Alex finds himself at the heart of a plot to overthrow a new Russian dictator. Working with an unstable Russian oligarch and his former lover, Alex races against the clock towards a violent showdown in Moscow – with the highest stakes imaginable. Combining action, history and political intrigue, Steel creates a truly epic modern thriller. 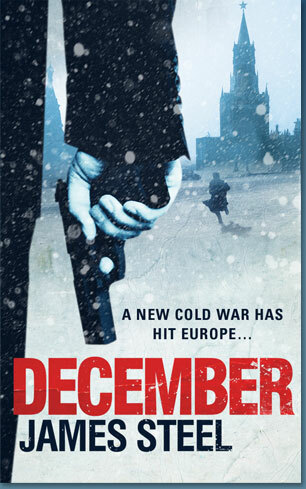 For anyone who’s a fan of Robert Harris, Frederick Forsyth or Alistair MacLean, December is a must read.